Most of the world's carmakers are concentrating on designing safe, efficient models that will evolve over the next decade or so into fully autonomous people-movers that will supposedly enhance safety, save energy, and so forth. Then there's FCA (Fiat Chrysler), which seems determined to go its own way by building cars that share family characteristics with its more exotic macho marques, like Ferrari, Maserati, and Alfa Romeo. 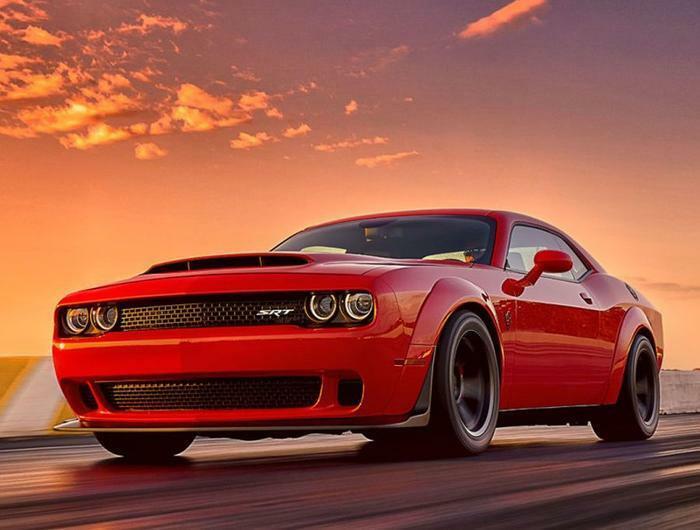 The latest and rather extreme example is the $86,090 Dodge Challenger SRT Demon. Yes, the price is rather demonic for a Dodge, but this isn't your father's Dodge. The Demon develops 840 horsepower and comes standard with racing slicks. It also has a launch mode. This is all the rage in muscle-car circles these days (come on, you can't call them sports cars). It basically holds the car in place while you build up the RPMs, enabling you to shoot off the line at outrageous speeds (or spin out into the nearest abutment). Many people have expressed concern over FCA's sanity, questioning the wisdom of putting such a potentially destructive weapon into the hands of America's drivers. It now appears that the doubters include some of FCA's legal team. Enthusiast site Allpar.com this week reported that purchasers of the Demon will be required to sign a notarized form saying that they agree not to drive the car with the racing slicks in wet weather, or when the temperature is below 15 degrees. Slicks -- or "drag radials" as they're being called -- don't have any tread to speak off. Ergo, not much traction. Thus the warnings against driving on wet or slipper streets. The potential for self-destruction remains high, however, even on dry pavement. Some critics have suggested that the launch control include a two-minute delay so that charged-up drivers don't pop into it everytime they see a Corvette or Porsche 911 stopped beside them at a light.